Heat oven to 350°F. Spray cookie sheet with cooking spray. 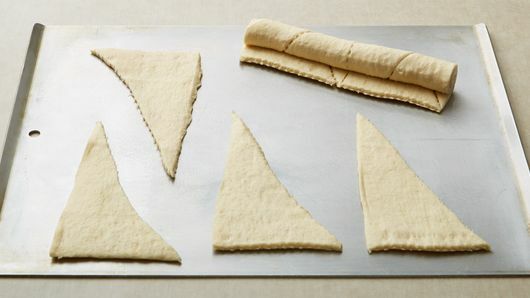 Unroll dough; separate into 8 triangles. Unroll fruit-flavored snacks; cut each diagonally into 2 triangles. 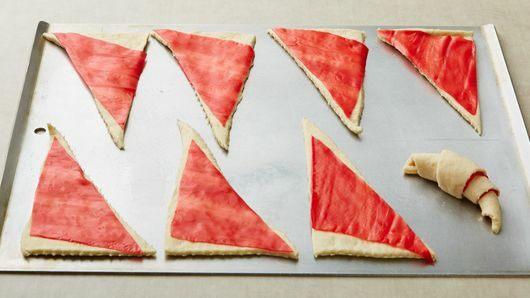 Place 1 fruit snack triangle on 1 dough triangle (fold or tuck each fruit snack so all is on dough). Roll up each dough triangle, starting with shortest side of triangle and rolling to opposite point; place point side down on cookie sheet. Curve into crescent shape. Bake 12 to 15 minutes or until golden brown. Cool 2 minutes; remove from cookie sheet. Serve warm. 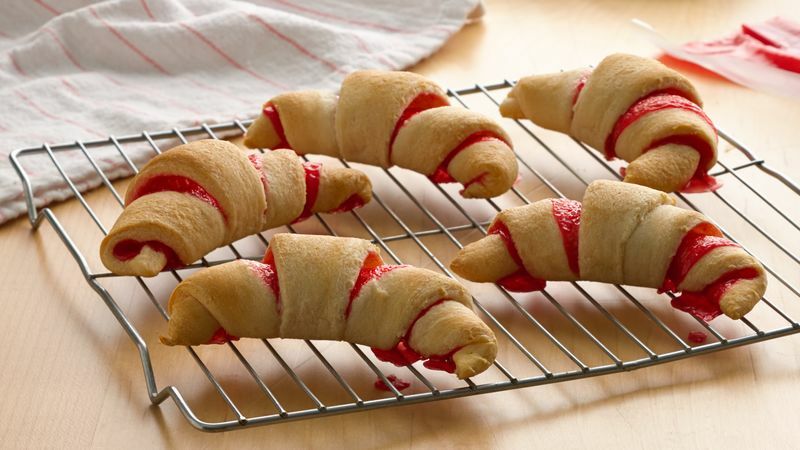 Teach your kids how to make this recipe so they can make their own fresh-baked after-school snack! Don't stop at strawberry! Try this recipe using other Fruit Roll-Ups™ chewy fruit-flavored snacks flavors as well.